‘The most extraordinary dog of all’ read the cover of the August 31, 2011 issue of Country Life. Readers could have been forgiven for expecting to find a feature on labradors or working cocker spaniels inside. 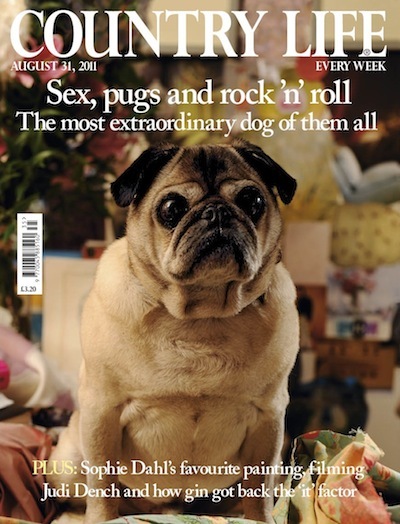 Instead, they got Bertie the pug, who spends his days in the London offices of interior designer Nicky Haslam feasting on Bonios topped with foie gras. 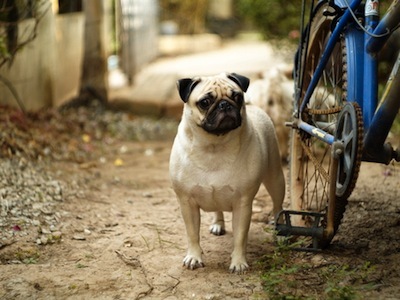 Although Bertie is British to the core, he has a Continental palate – and research suggests that pugs’ closest relations are the Griffon Bruxellois and Petit Brabançon. Indeed, the French have a phrase that perfectly sums up this funny little dog’s charm: jolie laide, or unconventionally beautiful. Yes, it has wrinkles that would send any A-lister running for the Botox, but it also has the most wonderfully expressive, soulful eyes, and a coat that comes in fashion-forward shades of silver, apricot and black. 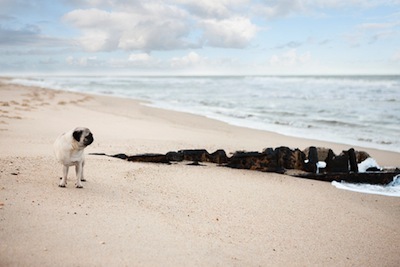 Their crumpled-up faces might give them a world-weary look, but pugs are natural jokers, much given to teasing. They have a true cocktail-party temperament, and get on with absolutely everyone, making as good a companion for a family with boisterous young children as an older owner living quietly. They’re also as at home in the town as in the country, happily fitting into even the tiniest pied-à-terre. This adaptability has seen them inspire devotion at the highest level: Queen Victoria doted on her retinue of pugs, which included Olga, Pedro, Minka, Fatima and Venus. 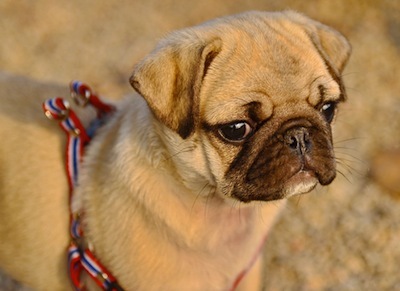 The pug made its British debut several hundred years earlier, when William III came to the throne in 1689. It had long been a favourite in the monarch’s home country of the Netherlands, and quickly established itself in his new kingdom. William Hogarth, chronicler of London’s gin palaces, was devoted to his pugs – he even included one of them, Trump, in a 1745 self portrait that now hangs in the Tate. Hogarth’s Trump was a long, lean beast, with a pronounced muzzle. Looking at today’s rotund specimens, you’d hardly believe they were members of the same breed. The modern-day silhouette is unmistakeable: that barrel chest, the short, thick neck, the curled telephone-wire tail. 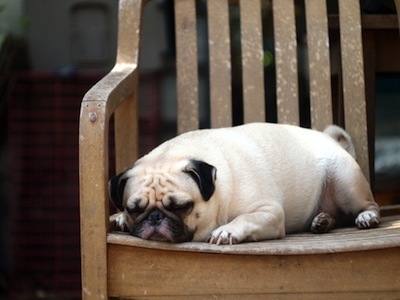 Overheating can be a problem in warm weather, and snoring is an ever-present feature of life with a pug. However, owners who share a bedroom with theirs don’t seem that bothered – in fact, many report that they find it rather soothing.